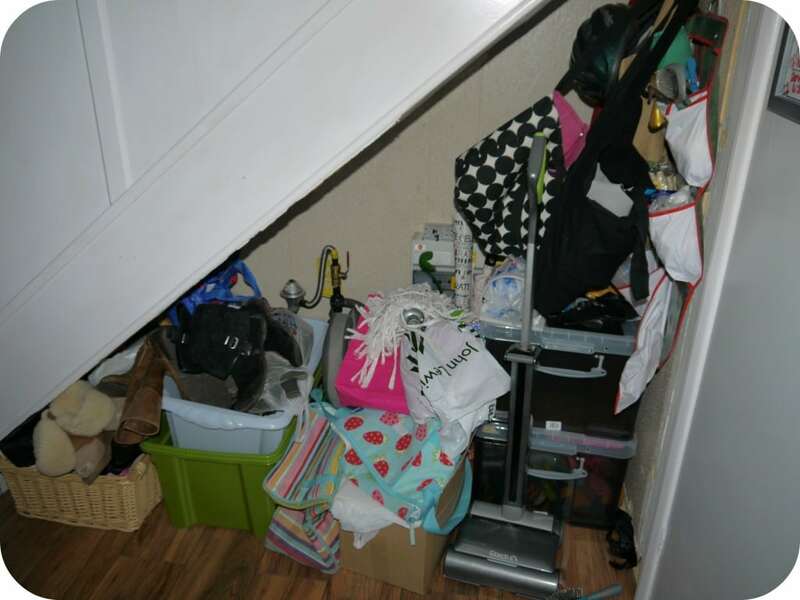 The hallway and stairs is such a busy part of the home, the constant footfall of the comings and goings of a busy household takes its toll. So we decided in the hallway we would run the same laminate flooring through the hallway to the front door. We purchased some coir coconut mat to fill the area in front of the door, hoping the kids would wipe their feet easily before coming in! Wishful thinking hey?! 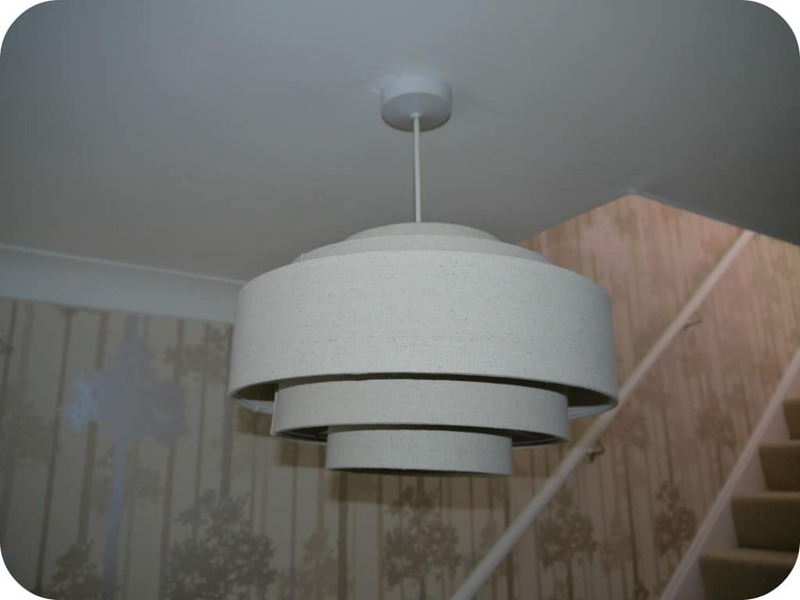 As you can see from this before photo we had colourful green carpet and nice wallpaper! Very good quality but not quite my taste. I couldn’t wait to get this taken off and put our fresh, light and new wallpaper up. 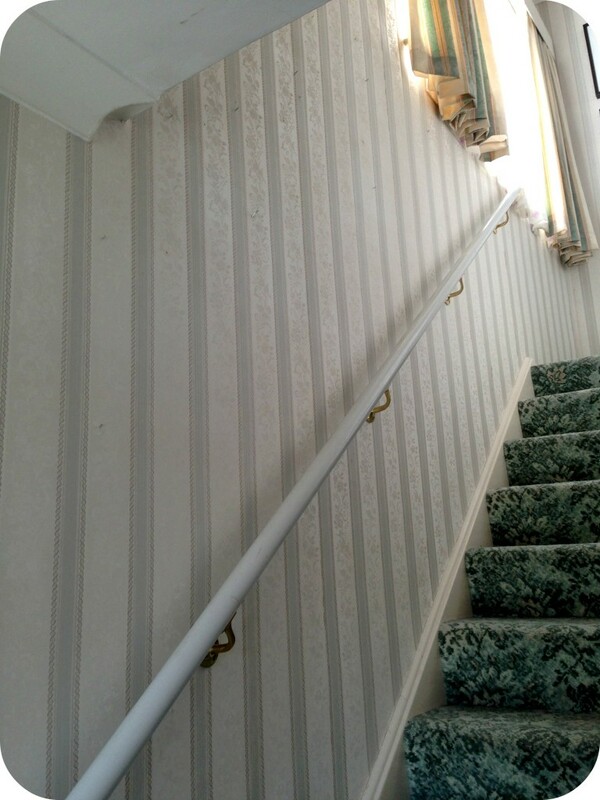 Hall, stairs and landing is such a hard decorating task to do, there is so much woodwork and tricky places to reach. 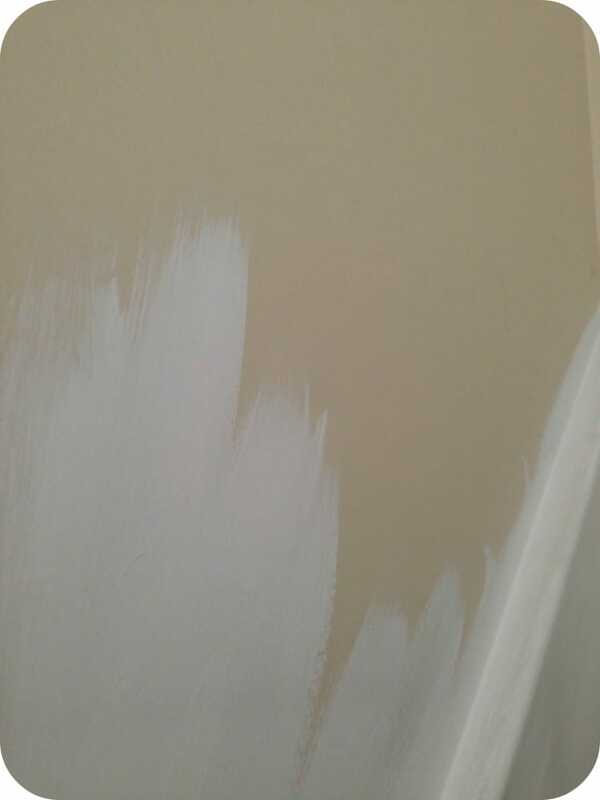 When the woodwork is so discoloured it is very satisfying to paint it white! 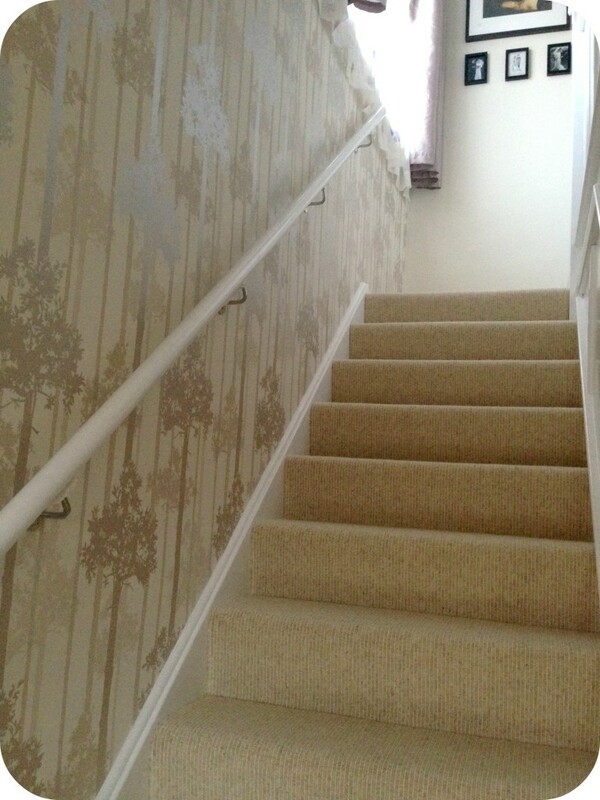 We choose SuperFresco Easy paste the wall wallpaper, you can see my full review of this through the link, this wallpaper was perfect for a stair wall as it is so much easier to put the wallpaper up onto a pasted wall. So next was choosing the carpet, I wanted to make sure I got something that was hardwearing. 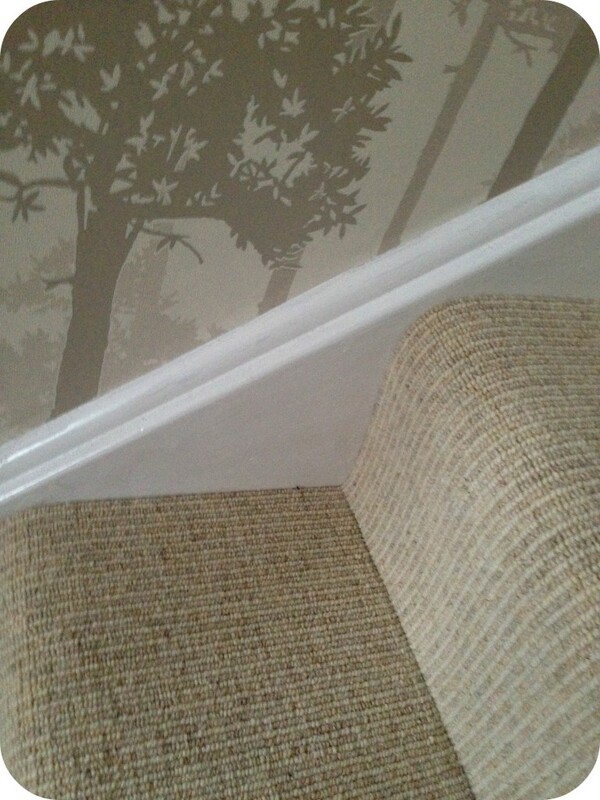 As the wallpaper had a forest/tree theme I thought a touch hard weave would work well and look nice. As well as very hardwearing. 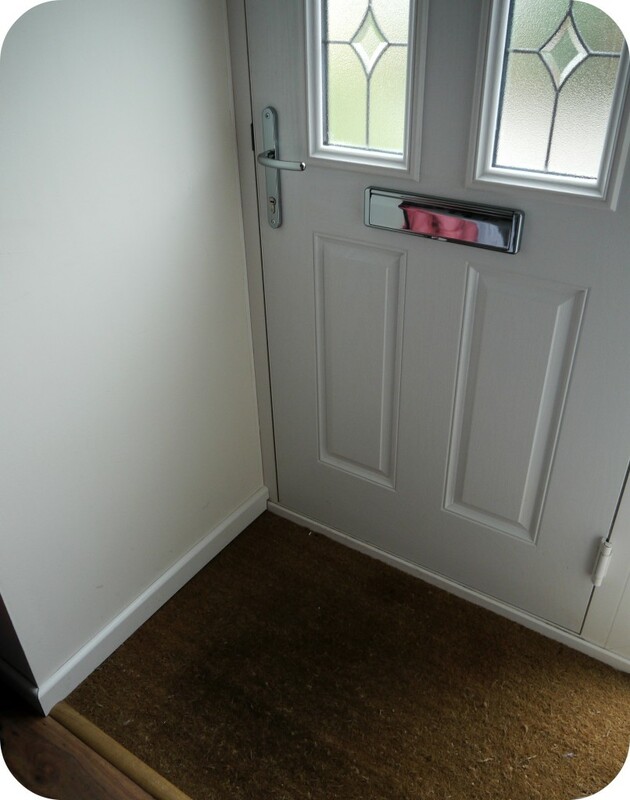 We have a local Wilton Carpets which sells some really nice carpets, great service and prompt delivery. 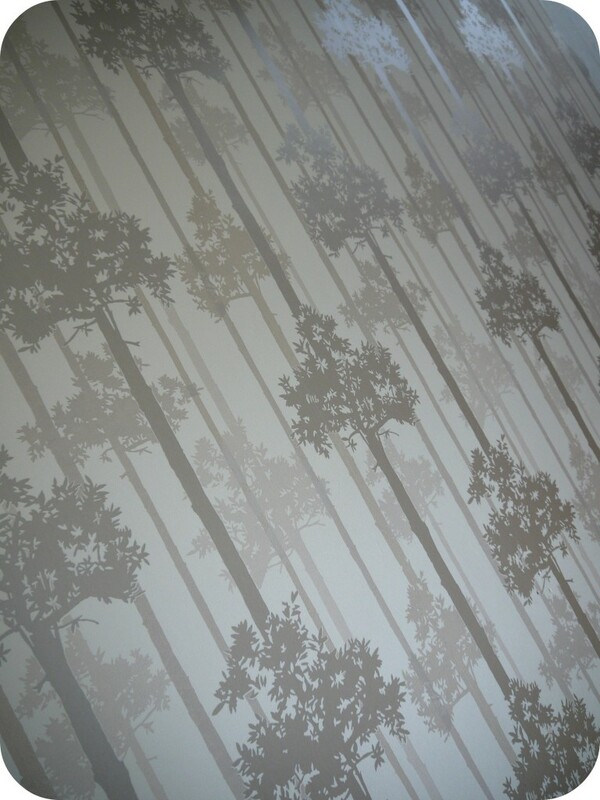 I am over the moon with it, it works so well with the wallpaper, looks great and is hardwearing. I am so pleased with the final look, it was hard work but it is such a large room of the house to get completed I am so pleased it’s done! Spot the wedding family photo wall at the top of the stairs! Now all I have to do now is sort THIS out!! Doesn’t it just ruin the look of the room!?! I would love a proper storage system under here, something like this one. Smart Storage have great storage system ideas, they offer supply and fit or flat pack options. So now only this job left to do then the hallway is completely finished! It looks fab! Awesome choices, and I love the idea of that under-stair storage. 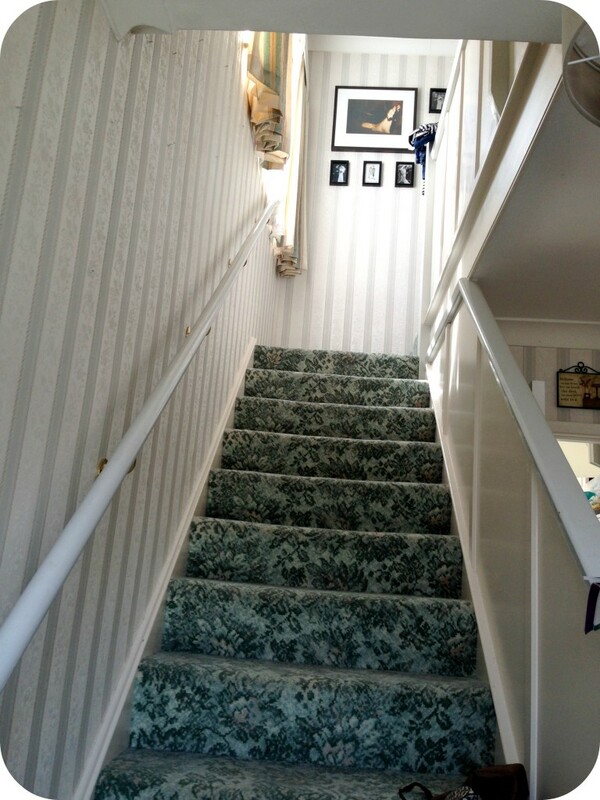 We recently re-decorated our hall, stairs and landing – its such a big job, but very satisfying when done. The hallway is the first impression of your home and when you open the door, you want to feel like its a welcoming space. Well done I say.